Rob Wieland is an author, pop culture writer and game designer. His game design credits include 7th Sea/Swashbuckling Adventures, The Edge of Midnight, Star Wars, Honor & Intrigue and Shadowrun. His non-fiction writing includes articles for Collider, Mania, Onion AV Club, and The History of Choppers. Tabletop RPGs were born from historical minis gaming. Going in the reverse direction seems to be difficult in RPGs. Unless, of course, you add a supernatural element. Western gaming lay dead until Deadlands came along with a potent mix of zombies and steam guns. It’s no surprise that the company made famous by that game, Pinnacle, might try a similar formula with other times in history. They made a successful foray into the d20 OGL with Weird War II, smashing together the horrors of war with the horrors of legend. Weird Wars are poised to become a brand within Savage Worlds, with rumored entries including Rome and the Crusades. 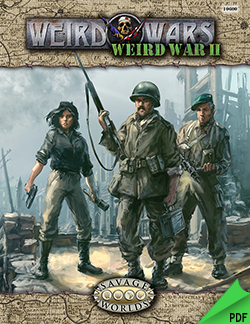 Launching the line felt like a good time to revisit Weird War II, which is available in Print and PDF for Savage Worlds. Protagonists cut off from the real world. Men and women forced into violence to survive. Agents of powers that skulk in shadow. Are they spies or vampires? Both types of characters share a startling amount of similarities. The two genres seem tailor made for each other. Ken Hite brings them together in his newest RPG, Night’s Black Agents. But be aware, it’s not vampire spies. It’s spies vs. vampires.While playing vampires in RPGs has been extremely popular over the past 20 years or so, this one is about putting stakes in hearts and walking away while the bloodsucker burns in the sun. The PDF is full color and laid out in a very modern style. The game includes several sidebar callouts explaining why certain rules work certain ways as well as giving examples of what happened during playtesting. The 90’s were a dark time in fiction. Conspiracies abounded everywhere. The end of the world was near. 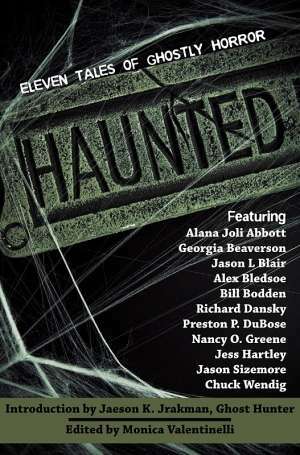 Genre television was abuzz with Buffy the Vampire Slayer, The X-Files and dozens of shows of a similar nature. 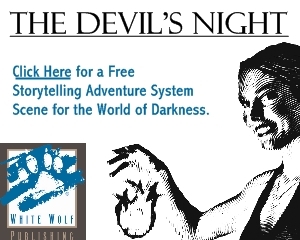 RPGs went through their own dark period as well thanks to the World of Darkness. Many games set their PCs as regular people who stumble into a world where the supernatural was real and tabloid headlines were prophets. But only one put the unmarked helicopters in their control. Conspiracy X offered a world where aliens have sinister plans for humanity. The most recent edition recently held a Kickstarter to continue the line. Jeremy Penter is the lead developer of AfterEarth: The Fall, a RPG currently on Kickstarter. This RPG offers a mash-up of post-apocalyptic setting with dark fantasy elements. It also offers the chance for all backers to have a say in the development of the game. Flames Rising sat down to talk about the game and its unique development. What is the elevator pitch for the game? AfterEarth: The Fall is a unique mix of post-apocalyptic action and magical fantasy based in the chaotic birthing years of a new era on Earth that is backed up by a unique card-based rules system that allows the role-players to control how the game plays. 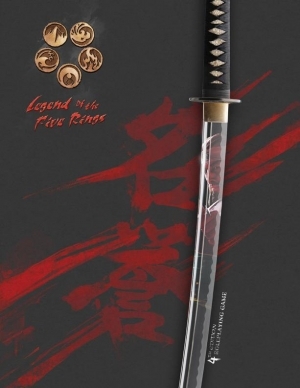 Each of the previous editions of Legend of the Five Rings was connected to a specific time period. The first edition was set before the events of the CCG. The second edition bumped the timeline to the Time of the Void. The third edition came out current with the CCG story at the time. The fourth edition opted to be timeless to allow fans to use whatever time period they wanted. This left a lot of the game’s history out of the core book. This makes the fourth edition versatile, but left out a lot of the player created history and backstory. Imperial Histories was created to fill that void. Imperial Histories is a guide to various points in the history of Rokugan. Many of the periods have been seen in other sourcebooks or editions. Some have been referred to in historical accounts. And a few are brand new to the book. Each of these is set ups as a campaign possibility with new rules, new schools and, in some cases, modifications to the existing rules for different eras of the Empire. This book is aimed at GMs looking for campaign ideas or fans wanting historical information in one place. Gaming has several kitchen sink style settings that mix and match strange elements for unique tastes. Shadowrun mixes dark future heists with high fantasy magic. RIFTS sets as many genres as possible at each other in a war over earth. Deadlands brings creaky steampunk machinery, gory 80’s horror movies, wire-fu, action horror and more to a Wild West time and setting. The West is a great setting for a game and Deadlands brings a lot of excellent flavor to the table. 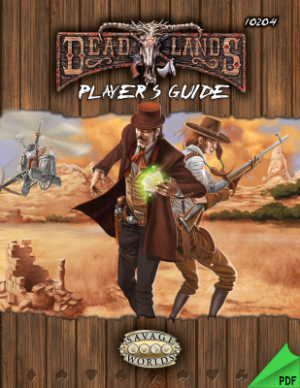 Deadlands Reloaded was recently re-released in a budget conscious Explorer’s Edition for Savage Worlds. Deadlands Reloaded merges the classic setting with the mechanics of Savage Worlds. Savage Worlds started as The Great Rail Wars, a miniatures skirmish game for the setting. Since then, Savage Worlds has been hammered into one of the most prolific rules sets outside of d20. Coming back to Deadlands brings the setting full circle. The setting has spanned novels, a few attempts at a video game and a CCG that is very well regarded. The game even spawned spin-off games set in a post-apocalyptic future and exotic space frontier. The company even recently held a Kickstarter to fund and all new chunk of the settings set in 1930’s New Orleans. One of Legend of the Five Rings greatest strengths is the detail that Rokugan has achieved over its fifteen year history. Gamers love a detailed world. Rokugan grew from a few characters and locations on cards to one of the most richly detailed worlds currently being published. Thousands of cards, RPG books and story fictions add Eastern flavor to this world that’s a mash-up of Western and Eastern fantasy. Emerald Empire is the Fourth Edition’s guide to the world of Rokugan. It is available in PDF and hardcover book. The book follows the same art and layout style as the Legend of the Five Rings core book. Full color pages with artwork from the CCG used for illustration. Noir is a genre which is often defined by its trappings. Many people see fedoras, trenchcoats and beautiful women and think that’s noir. The characters are what make something noir. Good men driven to evil. Evil women driven to redemption. The situations are what makes something noir. Can a killer find humanity from befriending a little girl? What’s in the briefcase that’s worth dying over? 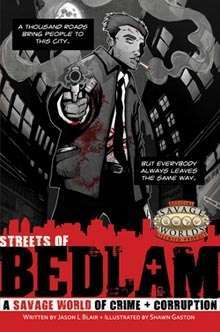 Jason Blair, author of Little Fears, brings these flawed heroes and classic situations together for his newest game, Streets of Bedlam. Strongholds of the Empire had a long, strange journey to publication. It was originally intended as a book for Legend of the Five Rings Third Edition. Then it was going to be a free web supplement. Then it was going to be a transitional PDf between Third and Fourth Edition. The book finally realized its destiny as AEG’s pilot into print on demand. It is now available as a fully realized PDF as well as a physical book. Was it worth the wait? The physical book is 193 pages. It costs more than the other supplements for Fourth Edition. It also looks different. The outside is a solid glossy finish rather than the matte finish with gloss art highlights of the other books in the line. Many of gaming’s long-lived members began as mash-ups of other media. Dungeons & Dragons grew out of a love of Lord of the Rings, The Grey Mouser and Conan. Shadowrun mixed Gibson’s cyberpunk with classic fantasy elements. 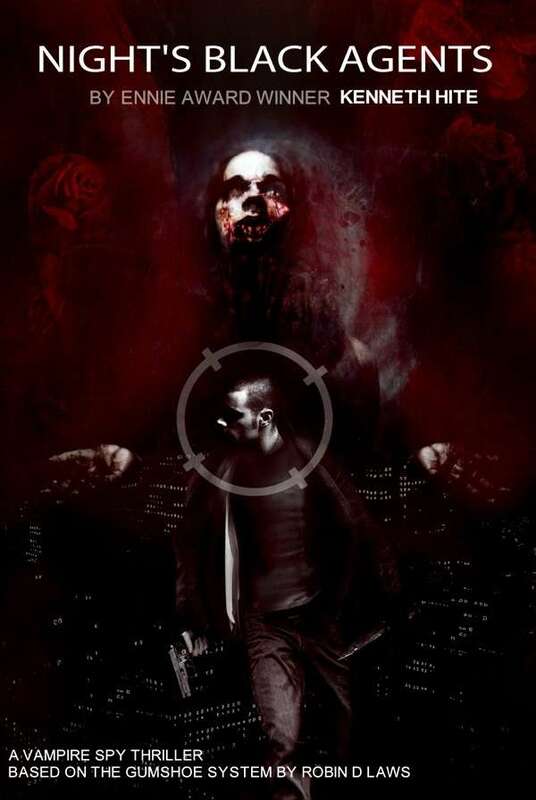 World of Darkness grew out of Anne Rice and urban fantasy media. Legend of the Five Rings combined Asian fantasy elements like samurai, shugenja and oni with western mythology like Zeus that appeals to audiences that grew up on everything from Kurosawa films to Avatar: The Last Airbender. 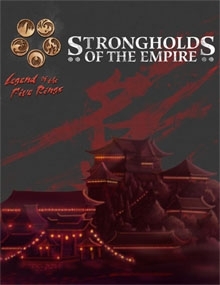 L5R, as it’s known by its fans, released a fourth edition of RPG rules to celebrate 15 years of blood, steel and honor.